I’ve been dreaming of a native instant messaging app for iOS for the longest time, so when iMessage was announced I was extremely pleased. iMessage is Apple’s foray into the messaging scene. With the expensive rates Canadians pay for SMS, iMessages is going to make a massive dent into the lucrative SMS coffers of the ‘Big 3’ carriers in Canada. 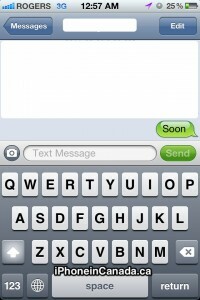 iMessage is coming in iOS 5, and will be free for all iOS users. Currently, its been available to test for developers using iOS 5 beta. My first experience with iMessage, was an eye opener. I wasn’t sure how to use the damn thing. Eventually, I discovered iMessage was built right in to the Messages app. This is important. No more launching a separate app for messaging, like WhatsApp or BBM on Blackberry. Integration with the Messages app is brilliant. So off I went testing it with some iOS 5 beta friends. When you attempt to send a message to any user, iMessage automatically detects if they are on iOS 5, and seamlessly switches from SMS to iMessage. 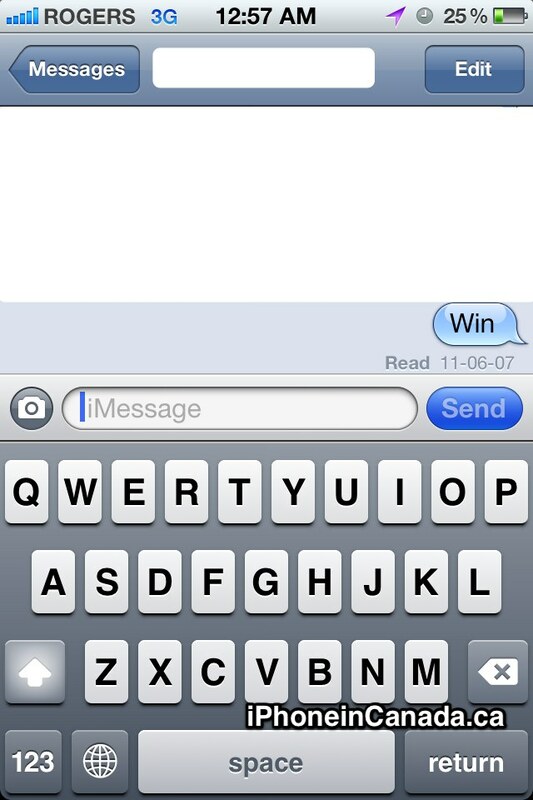 Once that happens–you will never have the option to SMS that user unless you turn off iMessage in Settings. So if you previously texted back and forth with a friend 100 times a day, that would eat out of your SMS plan. The moment you both start an iMessage, SMS literally disappears forever. Left: iMessage (blue); Right:Â SMS (green). 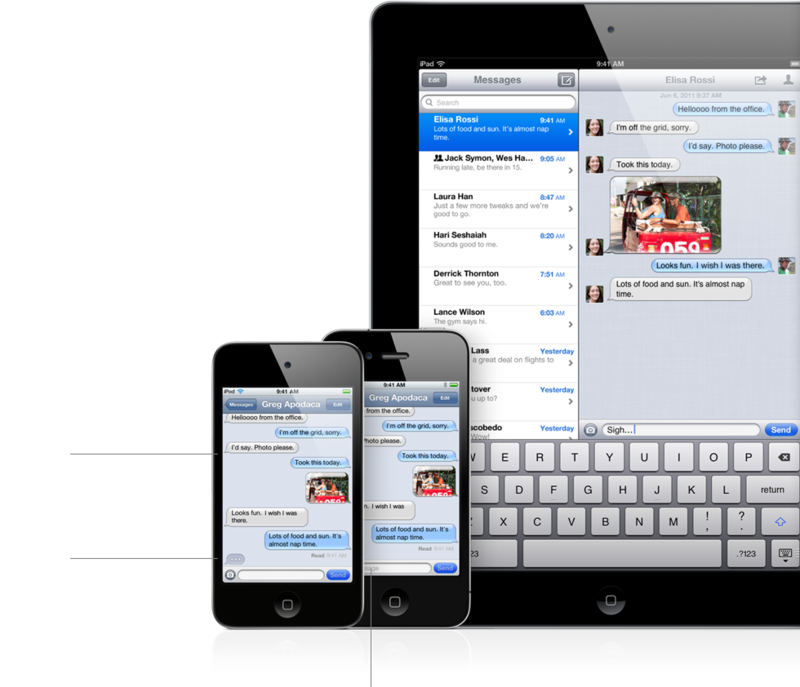 How will iMessage eat into the profits of the ‘Big 3’ carriers? Many ways. Think of the people who text the most–teenagers that send over 100 texts per day. Once a group of friends all utilize iOS 5, texting plans will no longer be necessary. Even texting internationally will now be free. Pay As You Go users on iOS 5 will be smiling right about now too. All for free, on all of your devices thanks to Apple. With rumours of Google starting their own built in messaging service, carriers should be worried. 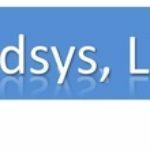 Once iOS 5 will be released this Fall, and iPhones are updated to the latest firmware, the gradual decline of SMS and rise of iMessage will be the dagger into the hearts of the ‘Big 3’ carriers. Third party apps like WhatsApp, Kik, and Beluga are great–but it’s a pain to get friends to install apps on their phones. With the seamless integration of iMessage, that chore is eliminated. 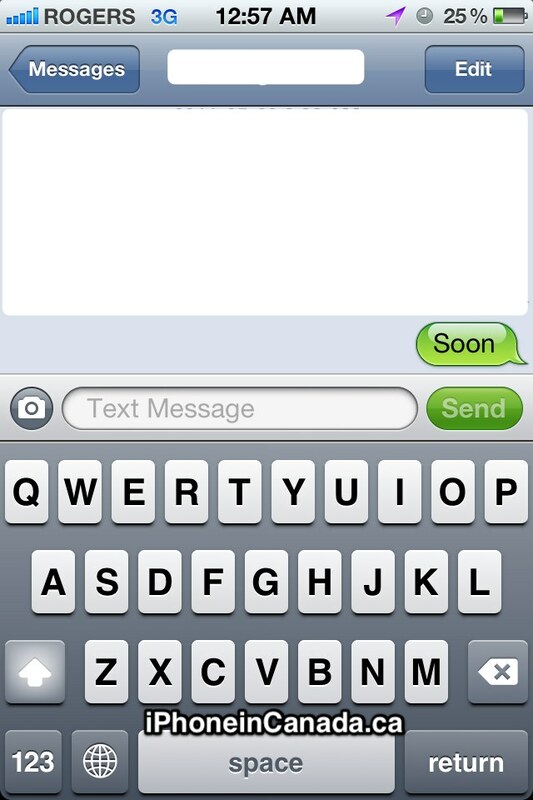 Are you looking forward to iMessage? What is your texting plan right now?